Men have few rituals that are as relaxing as shaving, but even this is not without its hazards. Anyone who has been victim to an ingrown hair will testify to this. The best thing is to avoid them altogether if possible, so we decided to create a guide to show you how to prevent and deal with ingrown hairs. When your beard is growing back there always a chance that a rogue hair will (literally) turn its back on you and bury itself back underneath your skin. Ouch! Far more painful than people imagine, and then there’s the risk of infection. An ingrown hair is usually caused by the broken end of a hair, which is often as a result of shaving. So here’s our top tips to avoiding this irritating predicament: A good simple face scrub is ideal to help prevent ingrown hairs, as it will unblock the dirt from your hair follicles. You’ll only need to do this exfoliation a couple of times a week to reap the benefits, too. Using a shaving brush will also help. Time to invest in a decent badger hair shaving brush, you won’t regret it. After you’ve softened up the end of your shaving brush, apply a bit of your shaving foam/cream by applying using circular motions, which will raise the hair to the surface, minimising the chances of the dreaded ingrown hair. 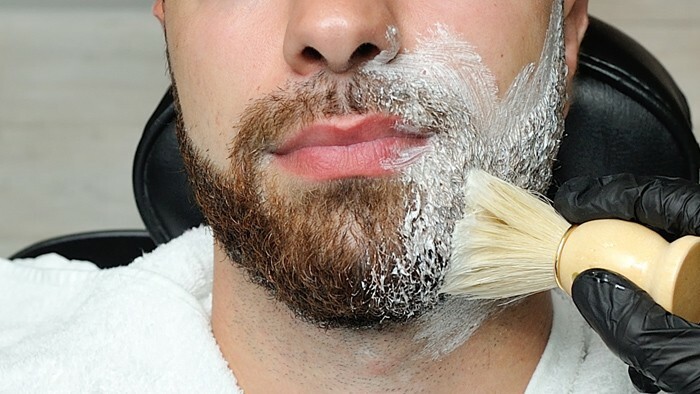 Shaving correctly also plays a major part in prevention, so it’s important to do it properly. While it’s tempting to shave against the grain for a closer shave, this method does also increase the risk of ingrown hairs, as the follicles can be damaged creating uneven/irregular growth. 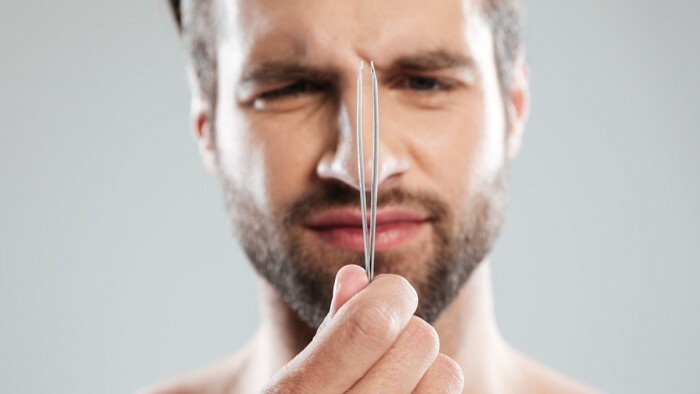 If you get an ingrown hair instinctively you’ll want to grab a pair of tweezers, but first you must get a nice hot flannel, hold it over the affected area, and allow the hair to rise to the surface of the skin (this also prevents more irritation). Only after this should you attempt dislodging it with tweezers. It will be much easier and less painful. Bingo, away with the pain in the neck that is the ingrown hair! Adding to our growing list of finalist nominations this year, we are very pleased that Jacks of London Southampton has been nominated as a finalist in The Hampshire Salon Awards ‘Marketing Trailblazer’ & ‘Creative Image Award’ categories! Its been another busy year for our Jacks teams this year and with 2018 drawing to a close we thought we’d take a bit of time to reflect on some of our most memorable and proudest moments…..